Now that’s just gross. If I wanna add a different flavor to my fruit, I’ll buy some fruit dip or use peanut butter. These companies have gone too far! I don’t need flavored fruit lol I need cheaper fresh fruit omg!!!! 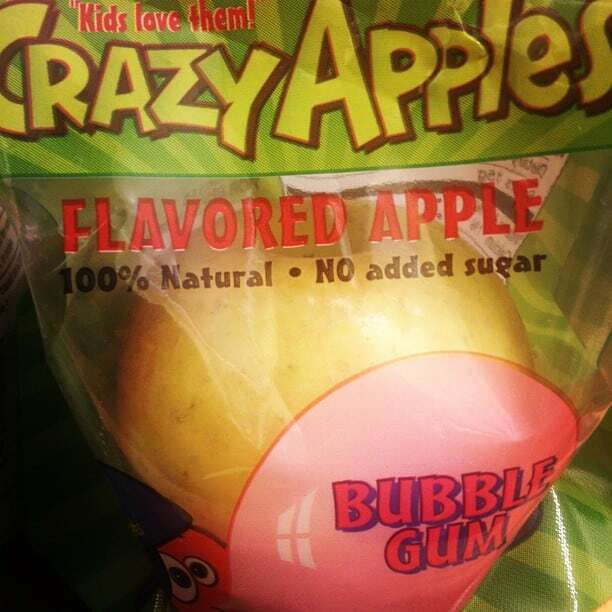 I’m still puzzled by “100% natural no sugar added”….how? Are high fructose corn syrup and aspartame not considered sugar? Eww. 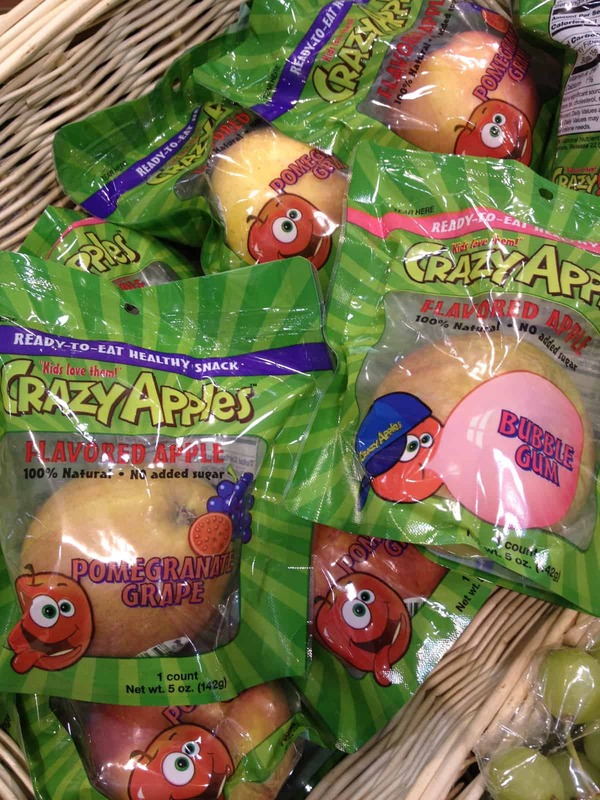 I could not imagine how gross a bubblegum flavored apple would be. Bubblegum flavored bubblegum is already a bit much for me, and you don’t swallow that. You don’t happen to have any shots of the ingredients list, do you? I am really side-eyeing that “no sugar added” claim. Now there are some things that you just shouldn’t mess with and fruit is one of them. Fruit is already delicious. If a child doesn’t eat a particular fruit then introduce another one, but don’t give them altered fruit! My son’s favorite food group is fruit. He’s been sneaking and eating all of the fruit since he was 2!